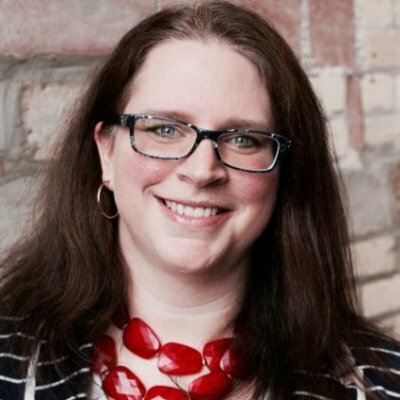 Learn how Kirsten Boileau implemented social selling best practices, tracked success and motivated reps.
How does a global enterprise with thousands of sales reps manage to successfully roll out a completely new sales strategy? And what steps can you take to follow that company’s footsteps? 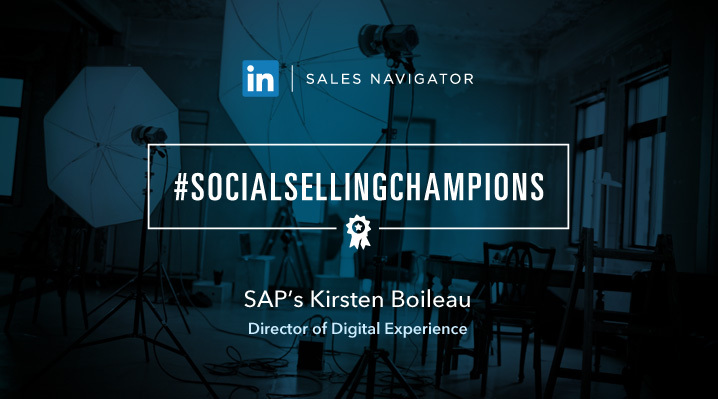 Kirsten Boileau, Director of Digital Innovations at SAP shares her success story in our monthly series #SocialSellingChampions. When SAP began the journey of social selling back in 2012, the information on how to build a cohesive plan wasn’t as plentiful as it is today. As an early adopter of LinkedIn Sales Navigator, SAP helped pioneer the social selling movement in many ways. What started out as a new tactical approach has now blossomed into a massive shift in business strategy. We’ve employed several different techniques to get to where we are today. We began by taking advantage of the LinkedIn Sales Navigator train-the-trainer programs, combining it with our own social selling training to build a robust end-user enablement program. This allowed us to equip our reps with social selling best practices from day one. Our global rollout of Sales Navigator was a project of tremendous scope. We’ve already deployed about 9,000 licenses, and we’ll deploy thousands more in the coming months. We also have over 120 trainers teaching our reps the fundamentals of social selling. These trainers work directly with the sales reps: they identify champions within the teams to help build excitement, maintain focus, and share successes. By keeping leadership informed of our success stories, trainers strengthen executive commitment to social selling at SAP. Ensuring engagement hasn’t always been easy, though. Rolling out a new strategy to thousands of sales personnel across cultures, functions, and experience levels presents certain challenges. We also had to find ways to engage our sales audience. Fortunately, many of the tools and best practices provided by LinkedIn Sales Navigator helped us do just that. With a scope this big, tracking engagement and adoption is key to measuring ROI. The LinkedIn Social Selling Index (SSI) has been a critical tool for measuring both engagement and adoption. A gamification metric already built into Sales Navigator, SSI provides a “score” that’s easy to compare, sparking the competitive spirits of our sales reps. SSI then becomes a coaching tool for our leaders. As a result, our reps have come to recognize how social selling helps them target, understand, and engage prospects—leading to fuller pipelines and greater performance. Success always begins with building great relationships, and that’s especially true for our sales teams. Our reps value the relationships they build with our clients—and the feeling is mutual. Today, our prospects and clients expect a personalized approach that’s warm, customized, and receptive: the complete opposite of a cold call. That’s something that really hits home with our reps. Knowing that Sales Navigator can help them engage with clients in a more authentic, human way is often the key driver that convinces them to take the plunge. We have several success stories to share, but there’s one that resonates the most with me. A brand new rep joined the SAP team, dove into our Social Selling training, and quickly grew his SSI to be #2 in the entire company. Thanks to the social selling best practices he learned and implemented—identifying the right stakeholders, understanding their specific business needs through social signals, and establishing his expertise with every touchpoint—he was able to increase the scope of a deal by 50%. He ended up closing the deal for over $600,000. If that’s not success, I don’t know what is! Do you champion social selling? Want to acknowledge someone for our series? Become a #SocialSellingChampion and tell your story here.